A Devon castle is to lose its licence to host weddings after its owner refused to allow two gay men to hold a civil partnership ceremony there. 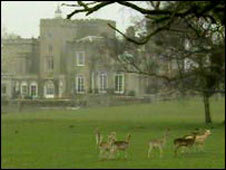 Lord Devon reportedly said the request for the marriage at Powderham Castle clashed with his religious beliefs. Devon County Council investigated and has said the licence for hosting civil ceremonies will be revoked. The move came after a gay couple from London were told the castle would not host their civil ceremony. Bernard Horrocks, 40, and his partner Glenn Sontag, 36, both from London, wanted to marry at Powderham. Mr Horrocks said: "They came back to us refusing to have our civil partnership ceremony. "They cannot cherry pick in this way. "If you are to enjoy the benefits of a licence you have to welcome everyone." The couple contacted licensing authority Devon County Council which said the refusal to accept civil partnership ceremonies amounted to discrimination. County solicitor Roger Gash said that providers of civil ceremonies could not legally treat people unfairly according to their sexual orientation. He said in an e-mail to Lord Devon: "It seems to me that your refusal to accept civil partnership ceremonies amounts to such discrimination and that this leaves the county council with no option but to revoke the licence for the castle." The castle will be unable to host civil ceremonies from 1 January next year. No-one was available for comment from Powderham Castle. The earl reportedly decided before getting the county council's e-mail to ban all civil marriage ceremonies, whether or not they involved gay couples. He told a national newspaper: "In order to stay on the right side of the law we have decided to do away with hosting civil ceremonies altogether at Powderham Castle."